Tokyo (VNA) – The Communist Parties of Vietnam and Japan held their seventh theory exchange in Tokyo on August 26-27, discussing changes in the regional and world situations as well as challenges and prospects for the two countries. Speaking at the event, Politburo member and Secretary of the Communist Party of Vietnam Central Committee and Head of its Organisation Commission Pham Minh Chinh said that amid complicated developments in the global situation, the two parties need to have correct assessments and forecasts to carry out appropriate policies and solutions. He stressed the importance of coordinating in studying and sharing viewpoints on the international situation to help the two parties enhance trust, mutual understanding and collaborate more effectively at international forums for a goal of building a world of peace, stability, prosperity and development. The exchanges like this have contributed to perfecting Vietnam’s theories on the roadmap to socialism and to drawing up the country’s policies. Chinh expressed his belief that through this event, the friendship, cooperation and trust between the two parties will be consolidated and intensified, thus contributing to developing the Vietnam-Japan relations. 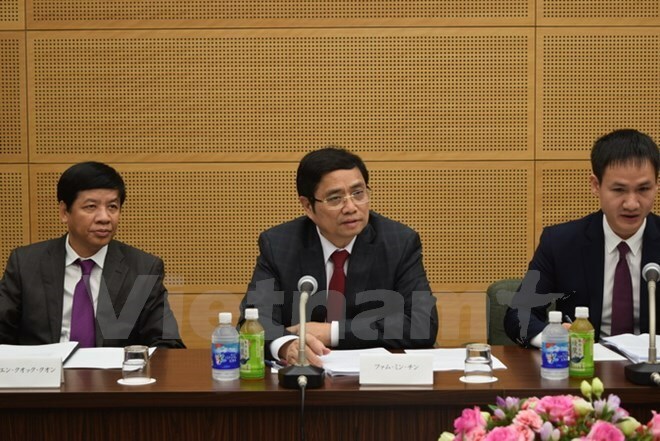 Former President of the Japanese Communist Party (JCP) Fuwa Tetsuzo, who is director of the JCP Social Sciences Institute, said that at present the JCP only conducts the theory exchange systematically with the Communist Party of Vietnam. He stated he believed this exchange will help strengthen the two parties’ operations.